All of Our Favorite Vermont Bites! 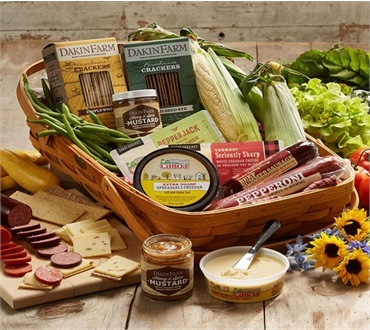 Everything you need to share a taste of Vermont with friends and family, especially those with a green thumb! The Farmhouse Gathering Basket arrives in a versatile, sturdy Peterboro Gathering Basket that is the perfect size to gather your garden harvest after our hand gathered delicacies have been consumed!